Raw Kingsize Slim Artesano Papers and Tips are a totally natural vegan rolling paper, completely unbleached and made from unrefined paper. The packaging opens up into a tray, which you can then use for your mix. 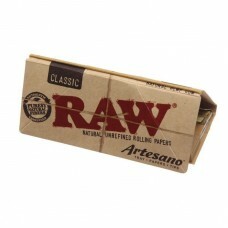 Plus, RAW Artsano come with 32 tips, both the tray and the tips are attached to the packaging for easy use. 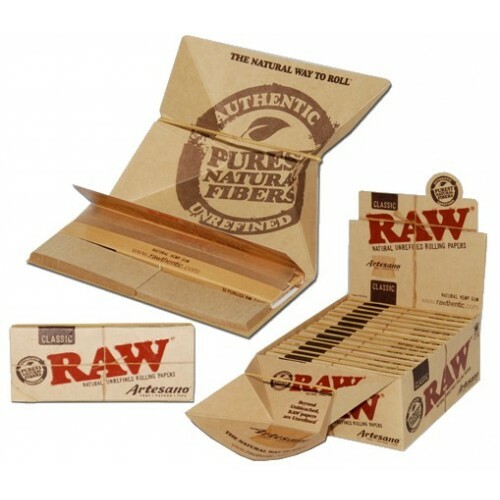 The papers themselves have a natural light brown colour due to the hybrid blend and unbleached fibres, which results in a thin golden brown almost translucent smoking paper. 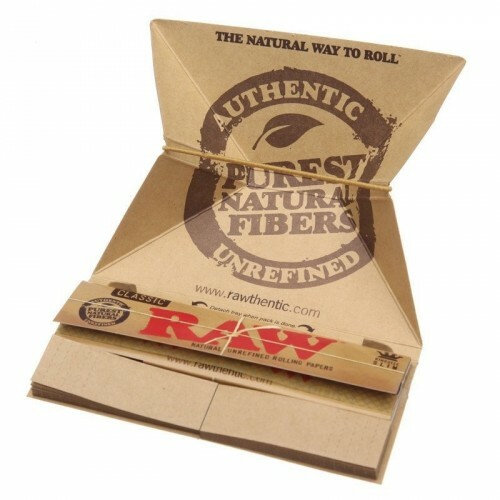 Each paper is individual watermarked with a Criss Cross which helps prevents runs and creates a more even burning rolling paper.